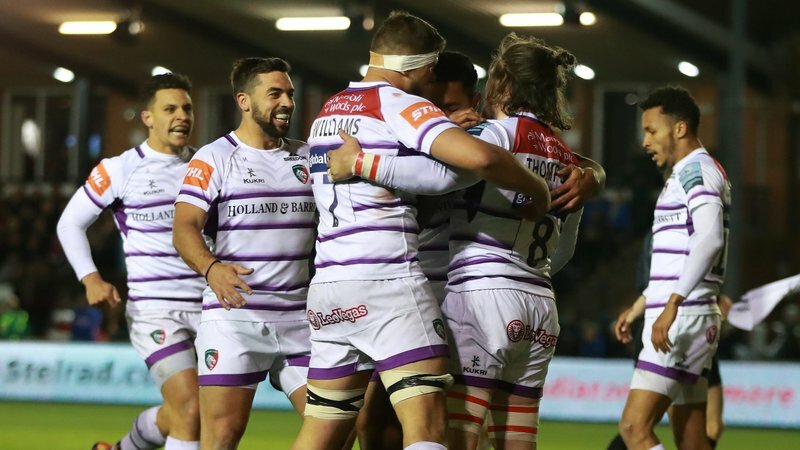 Gallagher Premiership rugby returns to Welford Road when Leicester Tigers host local rivals Wasps on Saturday, March 2 and we’ve got a full afternoon’s entertainment lined up for supporters. 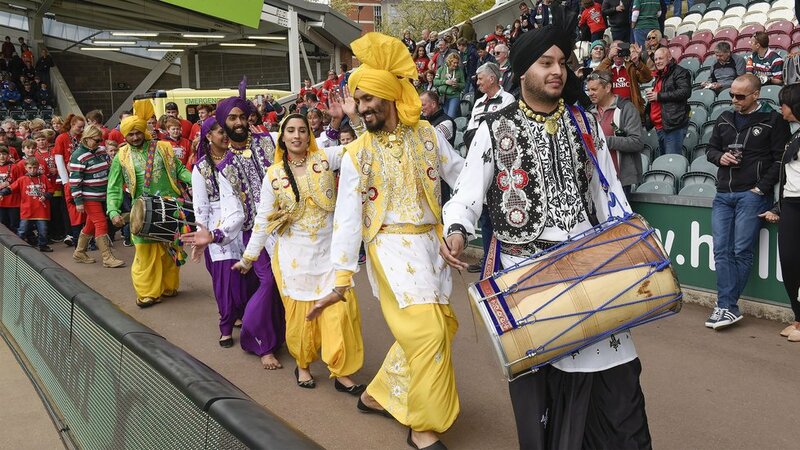 As well as the usual activities and kiosks on the plaza outside the Holland & Barrett Stand, there will be pre-match live music with a band, the De Montfort University gospel choir and Bhangra drummers. There will also be inflatables for young fans on the plaza, a special Battle of the Midlands photobooth and fire cannons will welcome the teams on to the pitch just ahead of the 3.00pm kick-off. The Junior Tigers Club in Final Whistle is open for two hours ahead of kick-off and provides a chance to win a FREE place as a matchday mascot or Tiger Cub, as well as enjoying a visit from members of the playing squad. JTC membership is free to supporters age under 16 and you can sign up your youngster now by clicking here. 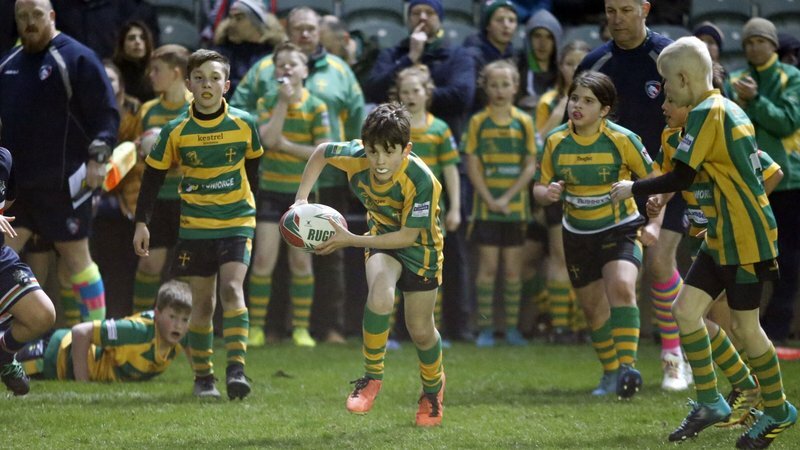 Members of the first-team squad also join us for a question-and-answer session in Final Whistle at 2.00pm and teams from junior clubs and schools will be on the pitch as Flag Wavers and Guard of Honour as the teams prepare to run out for kick-off. You can find out how to follow them for any home game by phoning the Group Sales team at Tigers on 0116 319 8888. 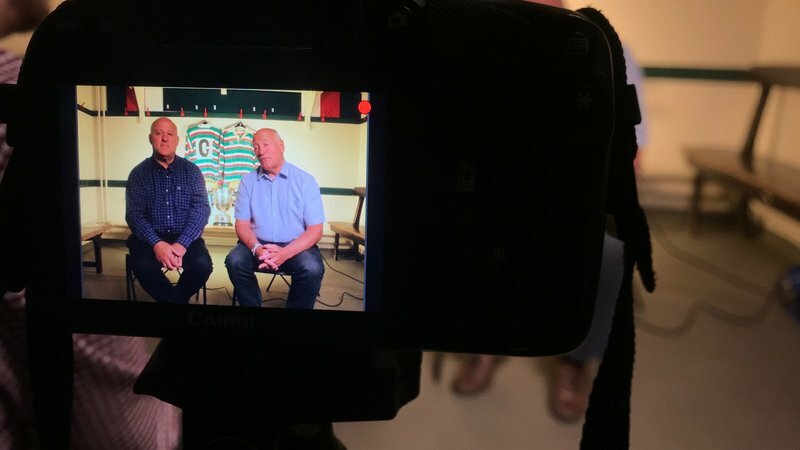 On matchday you can use the ‘Big Screen’ function on the Tigers app to submit photos of your afternoon with the Tigers and a selection will be shown on the stadium big screens. Half-time entertainment on the pitch includes The Ultimate Big Boot and we’ll name this week’s TigersLotto season ticket winner as well as welcoming participants in the day’s Tigers Matchday Coaching Clinics. 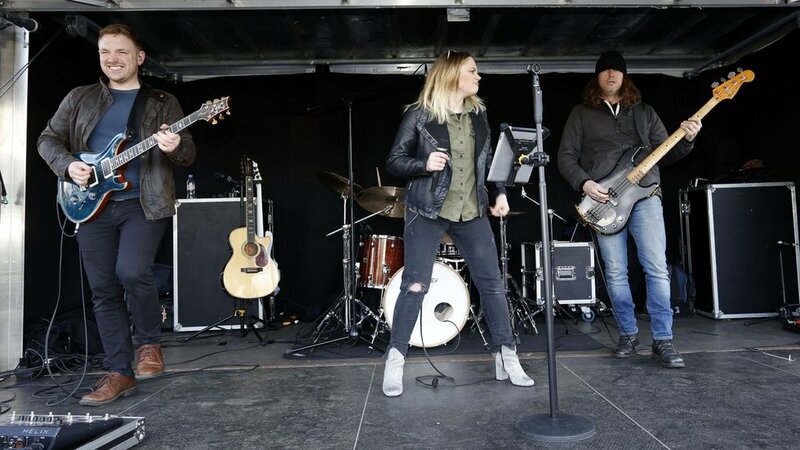 At full-time, there is live music in Final Whistle with resident band Rock Bottom, and the main Club Store and ticket office will remain open for an hour. Match tickets are still available. 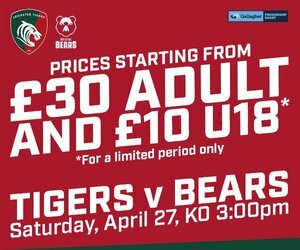 Book in person at Welford Road, phone 0116 319 8888 (option 2) or online. There is a print-at-home option for tickets bought online. Or there is a Collection Point on the plaza outside the Holland & Barrett Stand if you are picking up pre-paid match tickets on your way to the game. Official matchday bus services run by Centrebus are in operation on routes from Market Bosworth, Market Harborough and Oakham, arriving at Welford Road half an hour ahead of kick-off. See the club website ahead of the game for full timetable.